"We knew that muscles could regulate brown fat – exercising increases brown fat – but it was unknown whether brown fat affected muscle function," says Rosen. "In this new study, we closed the loop and demonstrated that the loss of IRF4 in brown fat tissue reduces exercise capacity in rodents, affecting cellular function and causing physiological abnormalities in the muscle tissue itself." 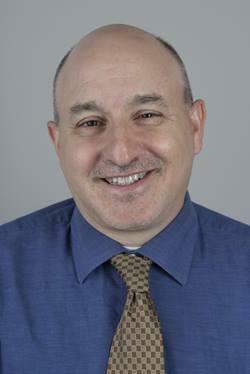 Rosen – with colleagues including Xingxing Kong, PhD, formerly a post-doctoral fellow in Rosen's lab and now a faculty member at the David Geffen School of Medicine at the University of California, Los Angeles – compared the exercise capacity of mice designed to lack IRF4 in their brown adipose tissue with that of normal – or "wild-type" – mice. While the altered mice looked and acted normal, they consistently demonstrated diminished exercise capacity compared to the wild-type animals. Mice with brown fat lacking IRF4 performed about 14 percent worse on a slow-speed treadmill and about 38 percent worse at higher speeds. When Rosen and colleagues compared the rodents' muscles, they saw distinct abnormalities in the thigh muscles of mice with altered brown fat. In some of the muscle cells, the structures that allow muscles to contract, the sarcoplasmic reticulum, were abnormally large, coiled up like a garden hose inside each muscle cell – a characteristic reminiscent of a rare muscle disease in humans called tubular aggregate myopathy.